Topics include ‘zero rating’ and net neutrality; state surveillance; public dissatisfaction with Facebook and creating alternatives; and how the internet, capitalism, communications and the link to broader struggles for rights, justice and humanity. Anja Kovacs directs the Internet Democracy Project in Delhi, India, which works for an Internet that supports free speech, democracy and social justice in India and beyond. 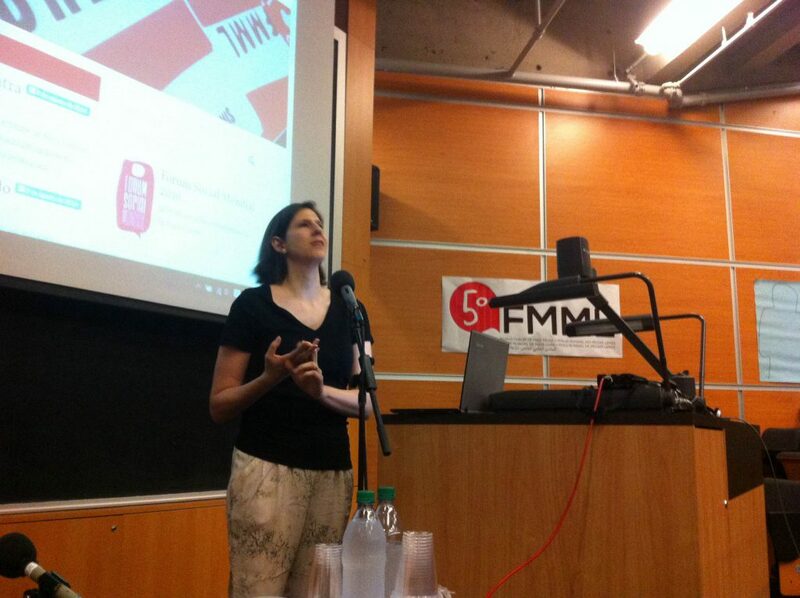 Interview by Greg Macdougall of EquitableEducation.ca, from Monday August 8th, the first full day of the World Forum on Free Media in Montreal, in conjunciton with the World Social Forum happening Aug 9-14. 0:45 – Begins by talking about the net neutrality issue of ‘zero rating’ internet access packages – proposals for which have been a major issue of debate in India, whereby companies offer people packages (paid, or possibly free) of certain websites and those people’s intenet access then consists solely of those packaged sites, with additional costs to access any websites not in the package. This may seem foreign to North American internet users, but zero rating was part of the United States net neutrality debate as well, although to a much lesser degree. 13:00 – The World Forum on Free Media and importance of connecting around issues of rights, the Internet and communications in general – includes an explanation of what is meant by political economy. 14:50 – Concerns around privacy and surveillance: do people really care? Looking at the complexities of the issue, especially with respect to social media, especially Facebook – and also, what do we do about it, with the dominance that such corporations have through their position in so many peoples lives? 24:00 More around the issue of growing dissatisfaction with the power that companies like Facebook and Google have.